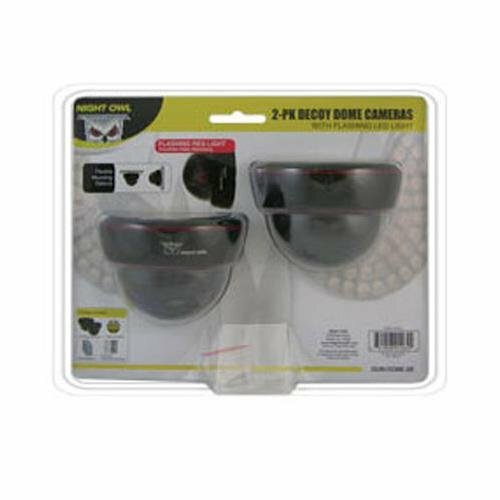 Night Owl's DUM-DOME-2B is a two pack of black decoy dome cameras that have flashing red LED lights that give the decoy cameras a realistic look. 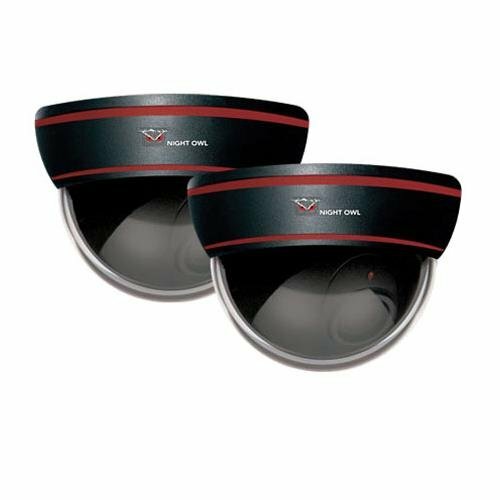 The flexible mounting options allow you to mount these decoy cameras to any ceiling or wall. 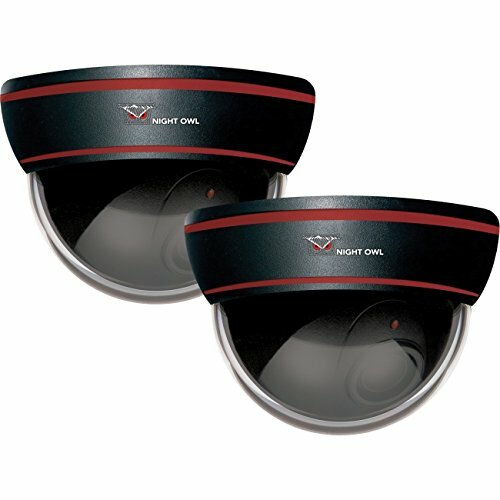 These decoy cameras can be added to your home/business to increase the level of security presence. Night Owl also includes a warning sticker as an added security measure. 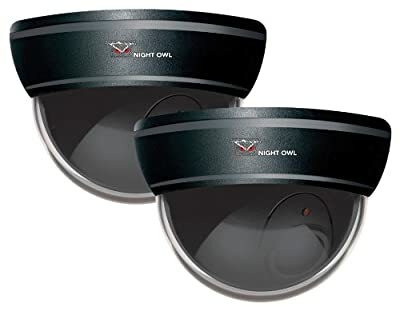 In addition, all Night Owl products come with a 1-year worry free warranty and 24/7 technical phone support (1-866-390-1303) that is open 365 days a year.